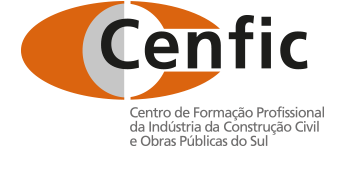 CENFIC is a vocational training centre for the Civil Construction Industry and Public Works approved through the Rule No. 492/87 of 12 June. CENFIC has extensive experience in the delivery of vocational courses in all fields of construction, and a great standing in the accreditation of professional qualifications competency. Its mission is to prepare qualified professionals to fulfil the several tasks which are part of the Building Construction and Public Works Sector, through the development of Professional Training Courses, satisfying the needs and corresponding the expectations of the clients; contributing to dignify individuals and create a new generation of qualified professionals; promoting the individual and the professional development of the trainees.